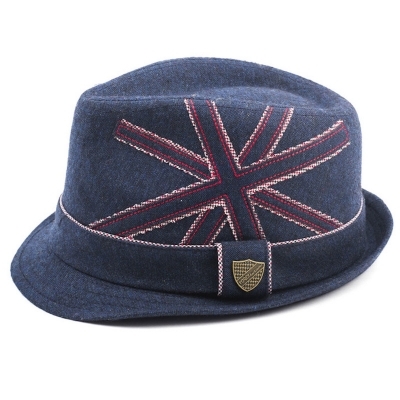 Upgrade your little dude's favourite outfits with this Navy Union Jack fedora hat from Fore!! Axel & Hudson. This navy fedora features a hatband with a branded metallic gold crest, alongside red, white and blue stitching detail in the shape of a Union Jack. It's ideal for giving your child a stylish British look. The Union Jack is a fine expression of unity as well as diversity.